You know those photos you see of ridiculously beautiful destinations that look too amazing to even be real?! Places that seem to exist only in the feeds of our favorite travel bloggers, on the pages of our travel magazines, and in the photos of that one person we sort of know from way back when who always makes us a little bit jealous with their drool worthy vacation pictures. Where is the water that color of blue? That must be photoshopped! How did they find such exquisite accommodations that fit into the environment so perfectly? Is there anyone else even on that entire island, or do they have it to themselves? ….and most importantly, HOW CAN I GO THERE? This week I want to share 3 destinations I feel fit the bill perfectly when what you are looking for is Romance, Romance, and more ROMANCE. These are the places that make you drool, make you envious, and might possibly cause you to forget every other vacation you’ve been on. The Maldives is Asia’s smallest country, and is a collection of small coral islands in the Indian Ocean. Couple’s will fall in love with this destination as their backdrop, as it provides them with an unparalleled setting for romance, and the seclusion often sought after the whirlwind of a wedding. Here you have the opportunity to just be. The unrivaled luxury and perfect beaches found here mean that this tiny, unassuming country sees about 1 million visitors a year. If you don’t mind a little rain, go during May through December when it’s a little quieter and there aren’t so many tourists. The prices will also be more favorable. A visit to French Polynesia is about as close as it gets to experiencing paradise. 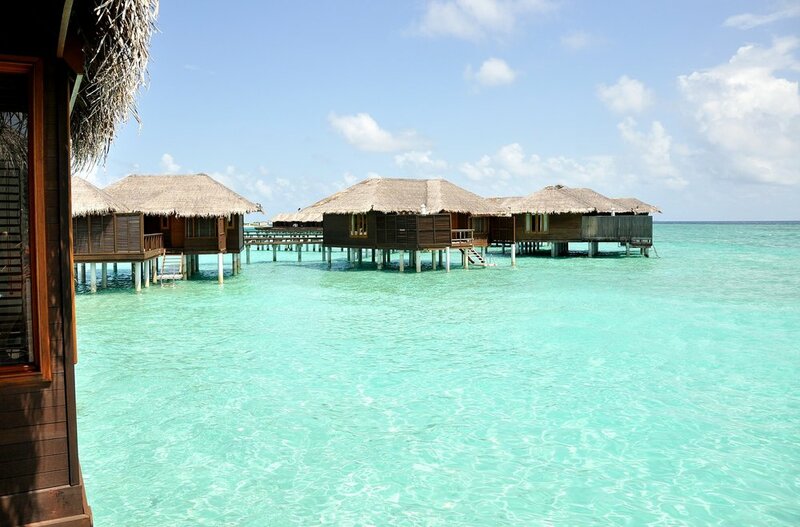 Enjoy beautiful sun-soaked days as you quickly slip into a slower-paced way of life and spend your days enjoying the turquoise waters and top of the line luxury accommodations in your own overwater bungalow. Imagine planting yourself on a pristine beach with glistening white sand, and gazing into an endless ocean of topaz blue waters, with gorgeous lush hills as your background. If you want to have the opportunity to visit paradise right here on Earth, accompanied of course with a frosty beverage, this dream exists in Seychelles. Because each island has it’s own uniqueness, the best way to gain some diversity in your experience, if you so desire, is to consider a two or three stop holiday on different islands. Inter-island plane transfers are incredibly easy. There is never a bad time to set foot on one of the few inhibited islands of seychelles archipelago, located in the Indian Ocean. For optimal conditions with less chance of rain and lower humidity, May through September would be best. Bring along your sunscreen and be ready take romance up a notch in one of the most idyllic beach locations in the world. If one of these destinations seems like it could be the perfect fit for your honeymoon or your next romance-filled vacation, I’d love to chat about how we can make sure these picture-perfect destinations soon become your reality. Looking for a little extra something on your romantic getaway besides blue water and palm trees? You might want to check out this guide that helps you figure out the best destination for your honeymoon (or romantic vacation).